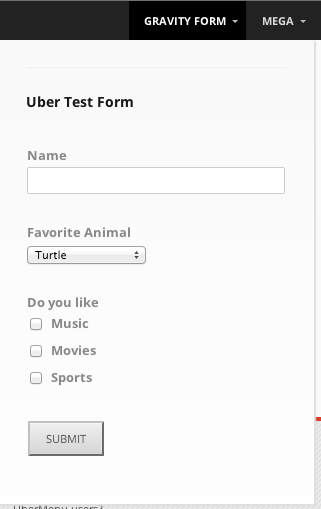 You can add Gravity Forms to your UberMenu by inserting a Gravity Forms shortcode into an UberMenu Content Override field. In order for your form to appear in a submenu, you will need to attach it to a second level menu item – NOT a top level menu item. In some cases, a third level menu item might be appropriate.